What’s the main difference you've noticed in the sound of your stations since installing Omnia processors? When I came to Fort Wayne, I had Omnia experience in the form of the 6. That’s where it ended. Let me say, I’m not the Chief Engineer here, just a Program Director with a good ear and a penchant for good sound. Initially, our CHR featured another brand of processor. When switched to an HD transmitter with sub-channels, we upgraded to the Omnia.9. The 9 is capable of processing not only FM, but also HD1 and HD2. There was an instant, noticeable difference on the FM side... Louder, more open, much cleaner highs and more definition to all aspects of the spectrum. We had the help of Jim Kuzman from the Telos Alliance who helped us craft a few custom presets and dial in a sound we were happy with. In the time since, Omnia has changed the menu structure. If you’re a processing beginner, you’ll definitely want to stick with the basic modify at first, switching to expert to see what parameters are changing. Once you really get the feel for it, every tool you can possibly imagine is there. That’s one of the beauties of the Omnia.9—there are no hidden controls. You can adjust everything. It can be a blank canvas to create the exact sound you’re looking for, or you can use one of the many presets and tweak them to your taste and market conditions. The Omnia.9 is my favorite processor of those I’ve worked with. Did others notice the improvement in the sound? We definitely received some compliments. First was a contract engineer who told me some competitors had asked him what we were using. I know at least one additional Omnia.9 and an Omnia.7 or two ended up in the market on non-commercial stations because of our use of the 9. "We definitely received some compliments. First was a contract engineer who told me some competitors had asked him what we were using." 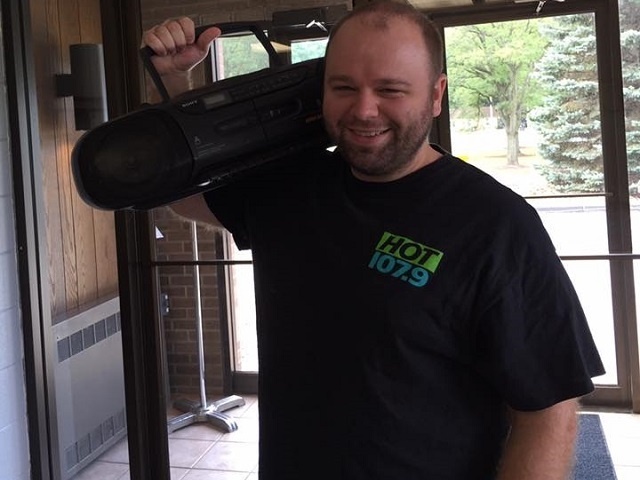 But perhaps the biggest compliment of all came in a full staff meeting one time, when one of our top Account Executives said “Let me ask you something, why is it that HOT 107.9 sounds so new? It sounds brand new; all of the other radio stations sound old and outdated.” When someone who is unfamiliar with the technical aspects of radio notices the improved audio, that’s when you know you’ve got it right. Are there certain types of audio where you’ve noticed a difference more than others? Is the difference primarily with the music, or also with on-air talent and commercials? What specific improvement have you noticed? It was an across the board improvement with all program material. Music for sure, and that’s the first thing you notice (especially with the declipper and “Undo” on modern Top 40 music, but speech is remarkably clean. We use Dry Voice Detect to clean it up a little more with separate processing parameters that really come in handy on our morning show. It’s as clean as can be; excellent clarity on the highs and a smooth mid-range. Additionally, getting back to the music, you can create any kind of bass sound you want (round, tight, deep and thunderous); you aren’t saddled with a certain type of sound like some other boxes are known for. And the 9 produces the cleanest highs of any processor I’ve heard. The upper end is pristine. You have multiple stations in the Ft. Wayne cluster. Do you have Omnia processors on other stations? We have a lot of stations; nine in total, on AM, FM, and translators. We use the Omnia.9 to process our HD3 sub-channel. We have Omnia products on all but two of those signals. We have brand new VOLTs on a translator and an HD2. As budgets have allowed, we’ve slowly been upgrading the sound on our stations with the newest offerings. Would you consider adding additional Omnia processors to your other stations? We just recently received our first two VOLTs. Early impressions are that this baby gets LOUD. And, if you prefer it not to be loud, it is easily dialed back. The deep, low bass is very impressive. I’m a big fan of that. The QuickTweak function is a very nice addition and makes adjusting multiple parameters easy. We’re thinking of trying it out on one of our bigger stations and seeing how it does. A lot of power for an entry level processor!